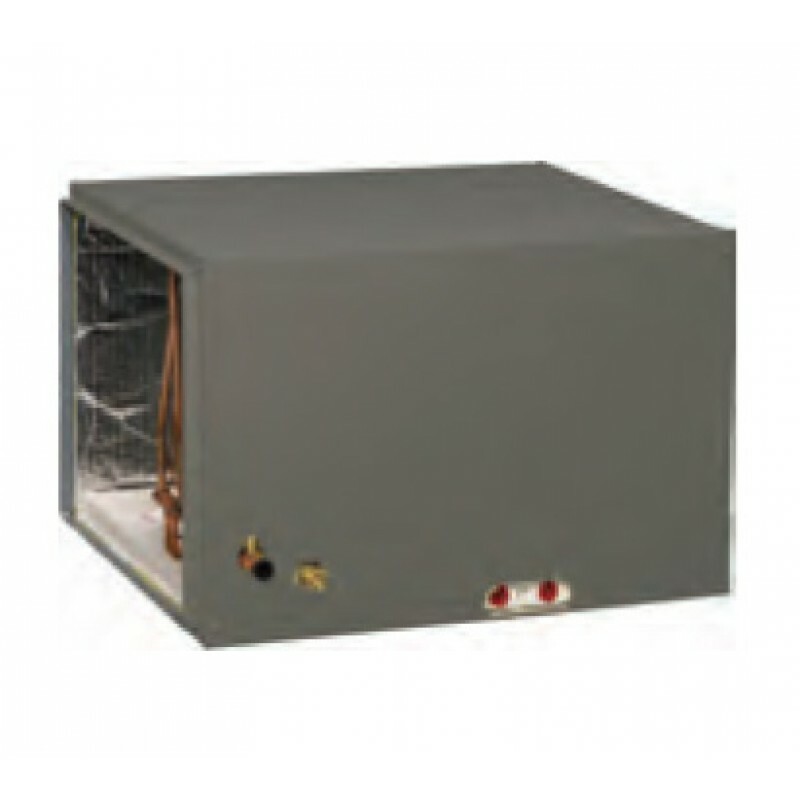 The G61 is a high-efficiency gas furnace offering an impressive 5.3 star efficiency rating. 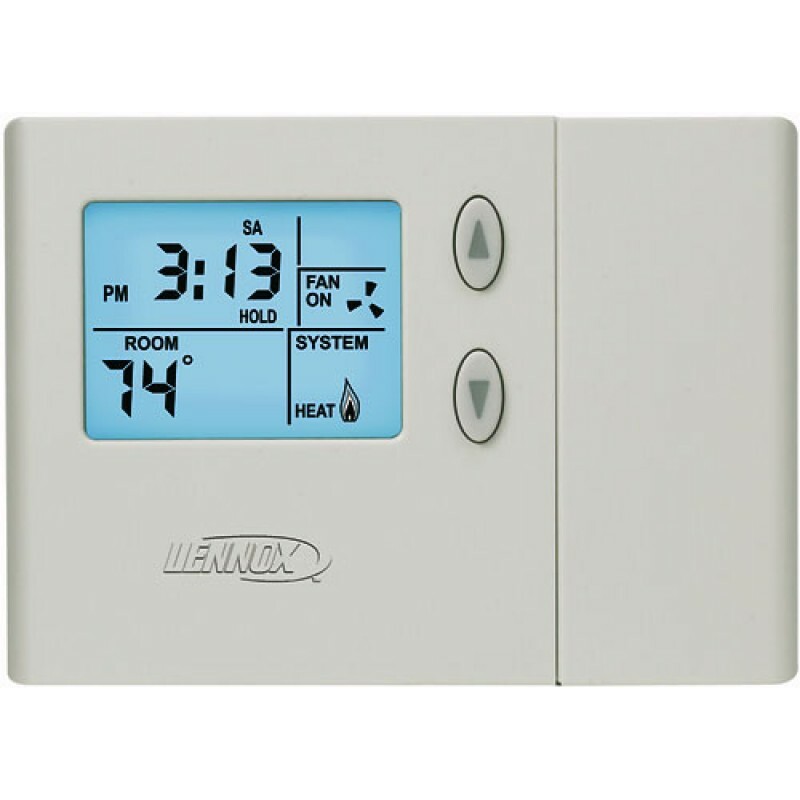 All Lennox gas furnace systems can be used with a range of easy to operate controls that enable you to select your desired temperature anywhere in your home with the simple touch of a button. 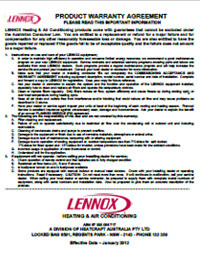 Lennox add-on cooling can be installed with most of the popular existing gas ducted heaters, at the same time as your gas furnace installation or at a later stage depending on your comfort and budget requirements. 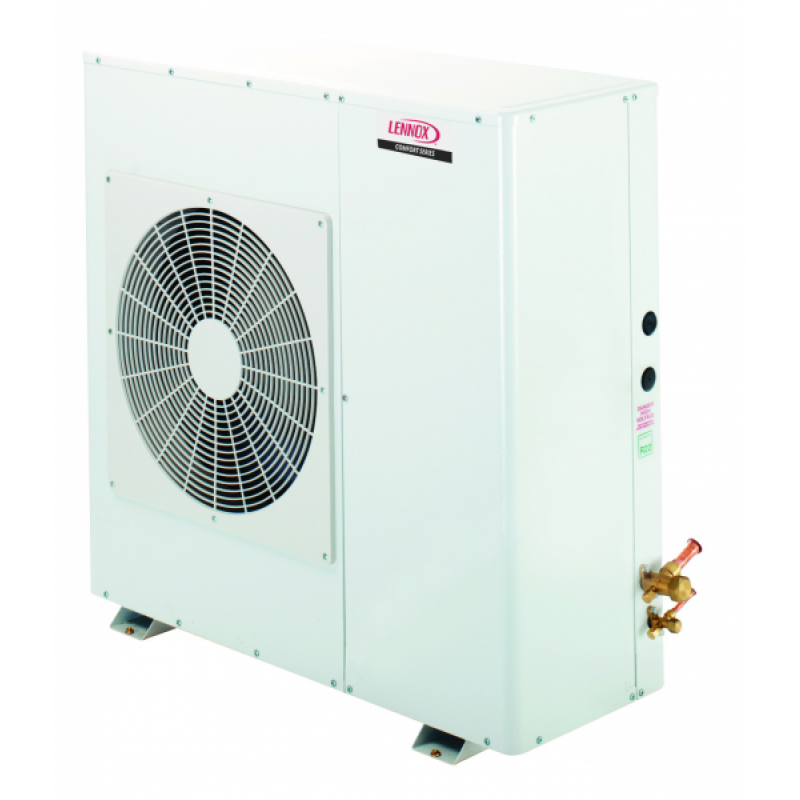 TSA Add on cooling has in built scroll compressors that delivers high efficiency and quiet operation. This compressor is installed on resilient anti vibration rubber mounts that provide noise free operation. 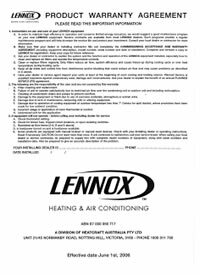 The unit is pre-charged with non-chlorine, ozone friendly, R-410A. The TSA condenser is supplied with a field installed liquid line drier that offers the benefit of trapping any moisture or dirt that could contaminate the refrigerant system. This liquid line drier system is approved for use only with R-410A refrigerants. 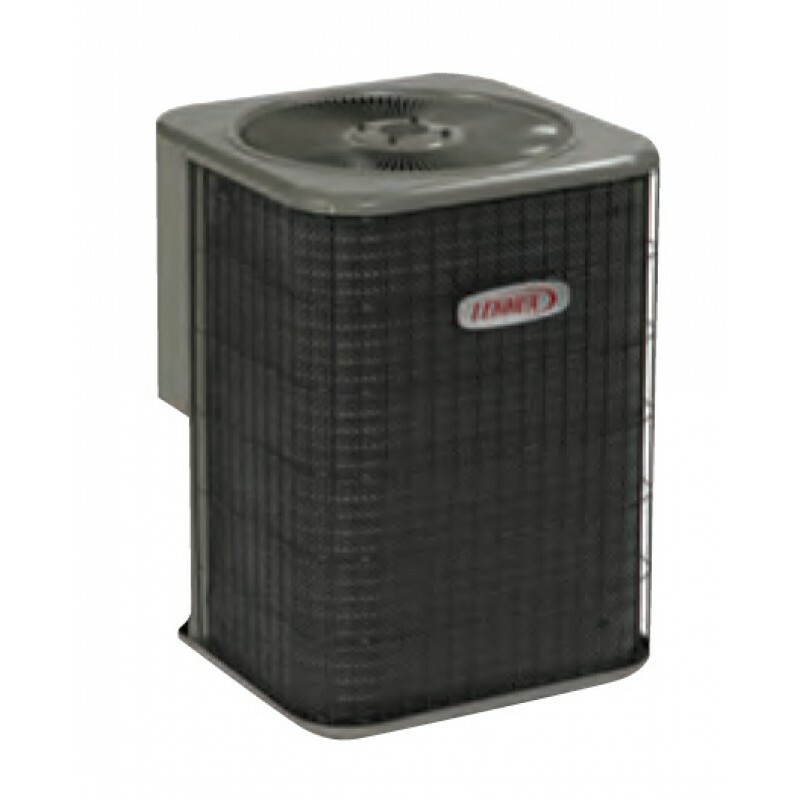 The direct drive fan moves large air volumes through the entire condenser coil providing high refrigerant cooling capacities. The vertical air discharge design minimises operating sounds and allows it to be used in narrow constrained spaces (unlike side discharge systems), eliminating damage to lawn and shrubs in your gardens. 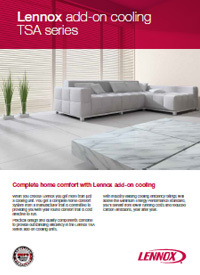 These units are available in single or three phase electricity options to suit most homes. 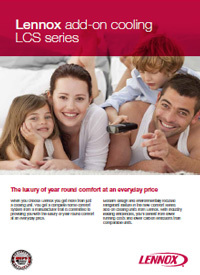 you can lower the thermostat – save on your energy bills – and still feel comfortable.